The idea of reintroducing the "Pulsar" nameplate into Australia is one of the better marketing ideas that has surfaced in 2013. The highly regarded model was very popular with small car buyers for decades. Its only a name, but when Nissan dropped the Pulsar in favour of the Tiida in 2006 there was a backlash from numerous sectors of society including buyers and, also, dealers. People wanted the Pulsar name! It has taken a long time, but finally Nissan responded with a new model wearing the Pulsar badge earlier this year. Our drive car is the Nissan Pulsar ST-L sedan. This is the mid-spec model. It had automatic transmission and metallic paint (Deep Sapphire). Nissan has put the Pulsar onto the local market with particularly aggressive pricing. Starting at $18,990* for the base model Pulsar with manual transmission, Nissan is really throwing out a challenge to all small car competitors. The ST-L sedan has a starting price of $23,690* (manual) plus options. The test car had two options, namely metallic paint at $495* and CVT transmission at an expensive $2,200* taking the test car price to $26,385*. 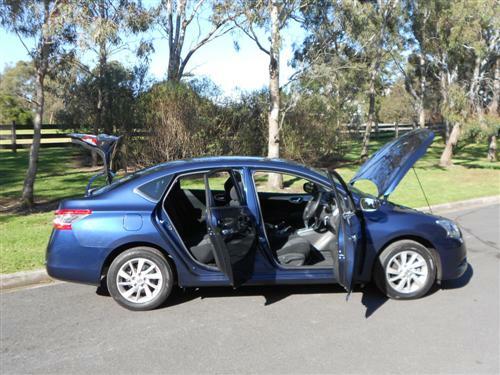 Pulsar sedan is a front-wheel drive car fitted with a 1.8 litre four-cylinder engine. Maximum power is 96 kW at 6,000 rpm and maximum torque is 174 Nm at 4,800 rpm. The test car's transmission was the optional continuously variable type which is common these days. To put it simply, the Pulsar just fits in as a typical small car. It doesn't excite, nor does it upset the purpose for which it was designed. As such, it gets around quite well. 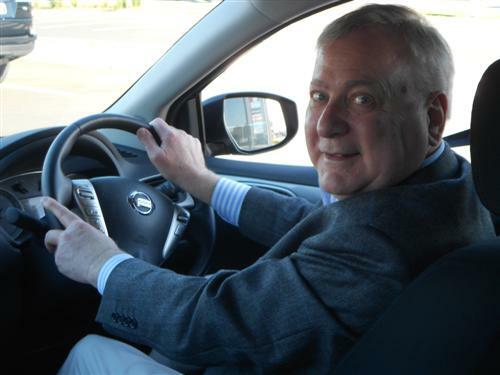 There are good cars in this market segment and Nissan had to make the Pulsar relevant for the brand to be successful in regaining buyer goodwill. So, be assured, we enjoyed driving the Pulsar sedan and we reached the conclusion that it is a worthy contender in this extremely competitive environment. 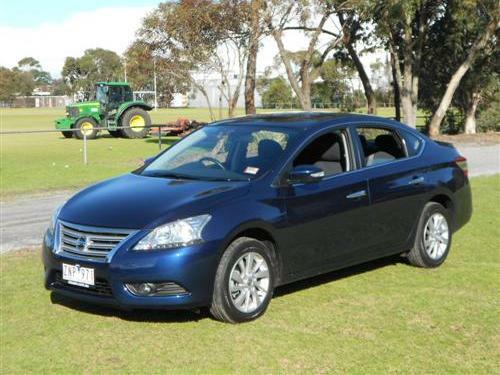 Maybe not number one, but certainly a good choice for those who like the styling and size of the new Nissan Pulsar. Our drive experience covered 428 kilometres in suburban Melbourne. 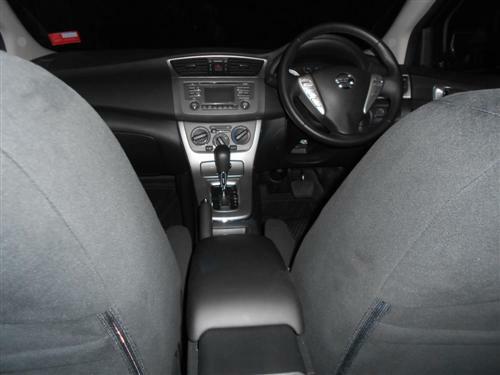 Like all five-seater small cars, the Pulsar is suitable for four adults. 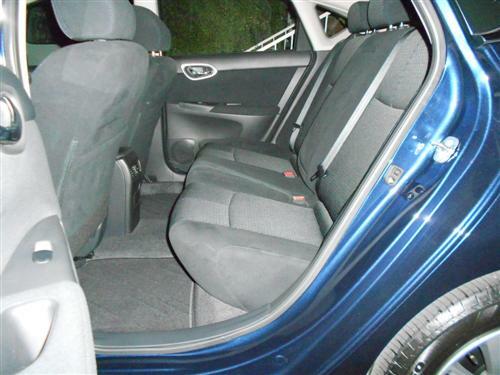 For a small car, this new Pulsar offers good space and the seating is good for this class. The cloth trim has a nice touch to it and this will be a factor in winning some sales. 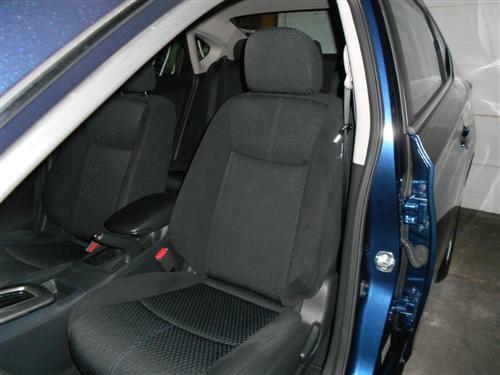 Some competitors have drab interior trim that has a neutral but bordering on rough trim. The soft touch Pulsar trim in the ST-L felt good. I like that with an interior. Keyless entry, single CD player with MP3 capability, Auxiliary input jack, AM/FM radio, six speakers, USB/iPod+ connectivity, Bluetooth hands-free phone system, 4-way adjustable steering column, 4 x 16" alloy wheels, steel spare wheel are some of the items on the inclusions list for the Pulsar ST-L sedan. Six airbags and Vehicle Dynamic Control, Traction Control System, Anti-lock Braking System, Electronic Brakeforce Distribution, Brake Assist plus a five star crash test rating makes the Pulsar sedan competitive in its class. In earning the five star rating, the ANCAP score came in at 32.67 (out of 37). This is a good number, but it is lower than some competitors. There are three child restraint anchorage points. Pulsar automatic has a fuel consumption rating, on the combined cycle, of 6.7 litres per 100 km according to the standard testing procedure. Because of our suburban usage, we were sure we had a much higher fuel consumption rate. Oddly enough, Nissan's published specifications do not mention the consumption for the 'urban cycle'. We suspect the urban usage figure may be a little on the high side in comparison to competitor models. The fuel tank capacity is 52 litres and 91 RON unleaded petrol is suitable for the 1.8 litre Pulsar sedan. CO2 emissions are 160 grammes per kilometre with the 1.8 litre engine CVT automatic transmission combination. 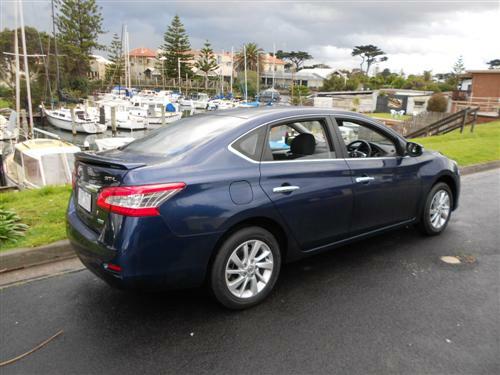 A 'braked' trailer up to 1,100kg can be towed by an appropriately equipped Nissan Pulsar auto sedan. The Nissan Pulsar comes with a three year/100,000 kilometre warranty with roadside assistance (conditions apply). Nissan offer 'capped price' servicing and an extended warranty is available. There are a lot people who like the Pulsar models of old. They won't be disappointed with the new Pulsar. 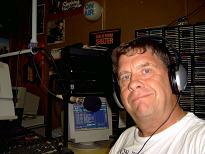 One fine attribute of the new model is the visual aspect. The new Pulsar even looks like a Pulsar. This new model stretches the small car tag by offering a spacious interior, nicely presented in the ST-L version, and makes a pleasing package.